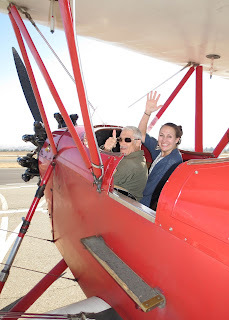 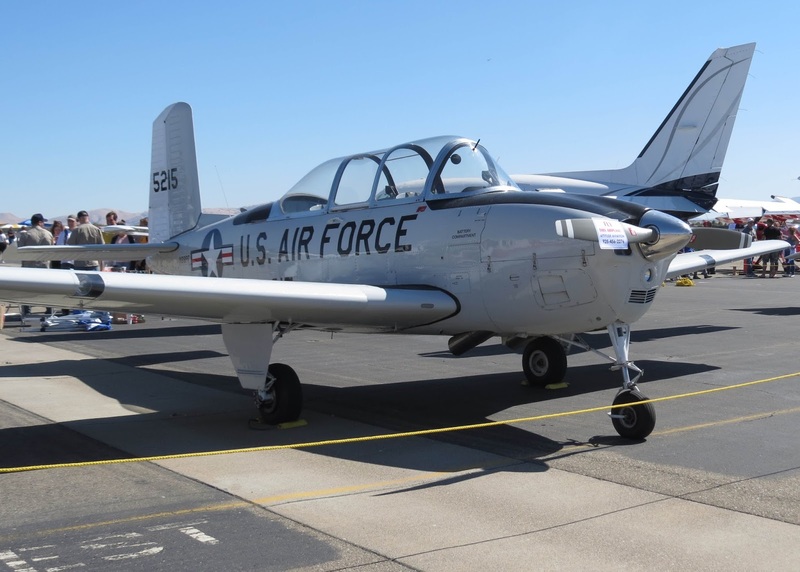 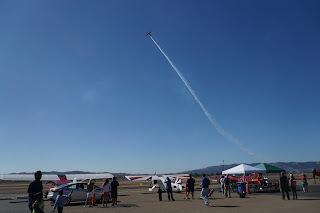 It was a clear sunny day over the Livermore, CA airport and their 20th Annual Open House and Air Show was about to get underway. 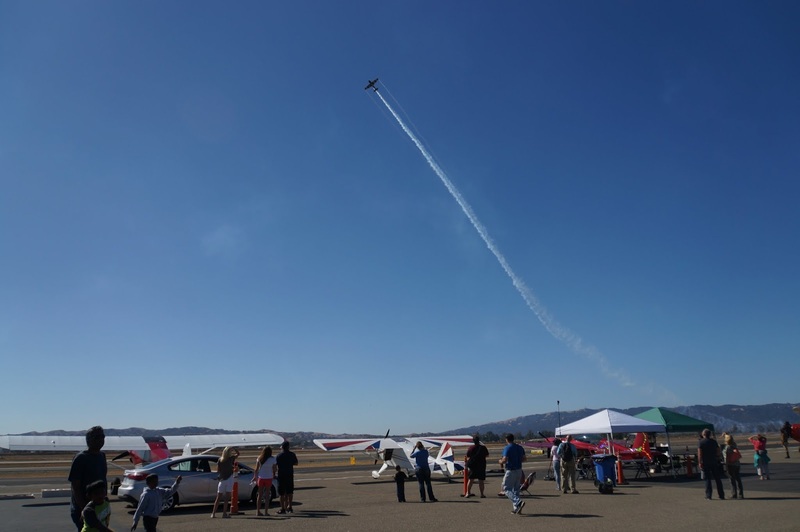 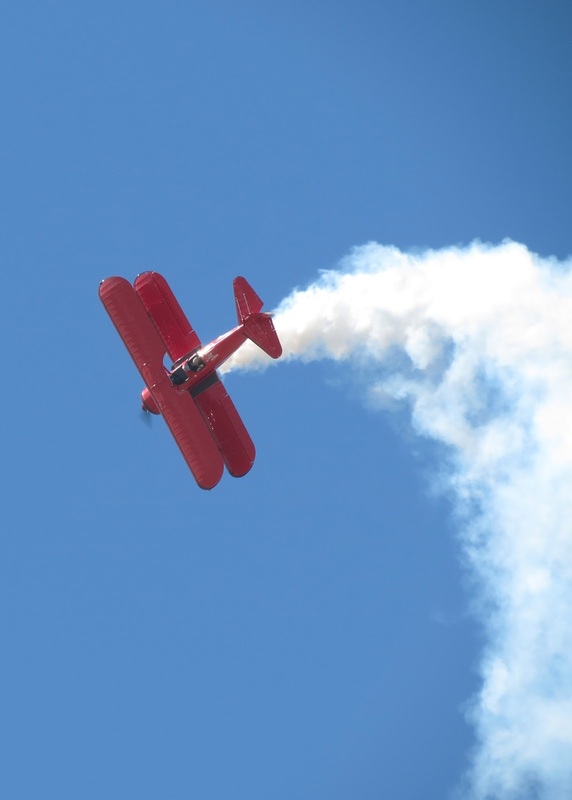 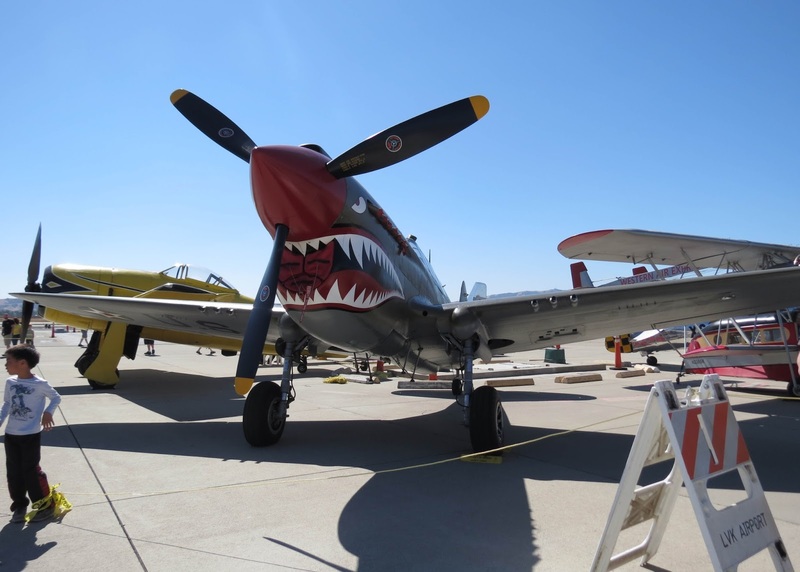 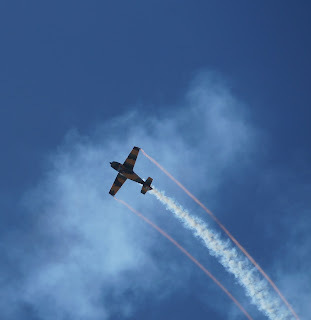 The open house features exhibits, food, sky diving demonstrations, aerobatics and a display of vintage aircraft and automobiles. 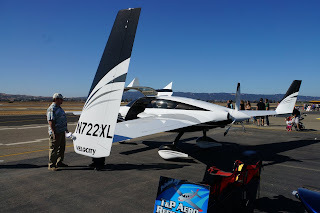 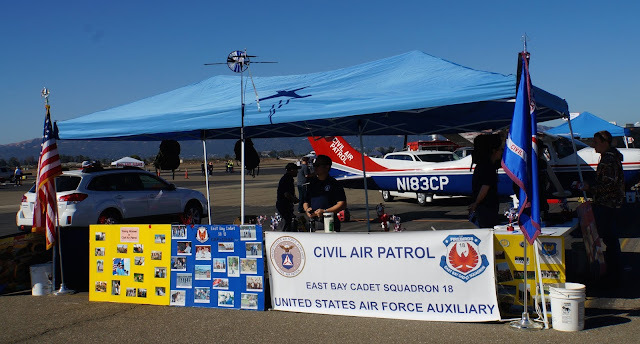 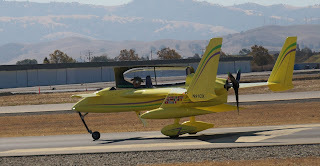 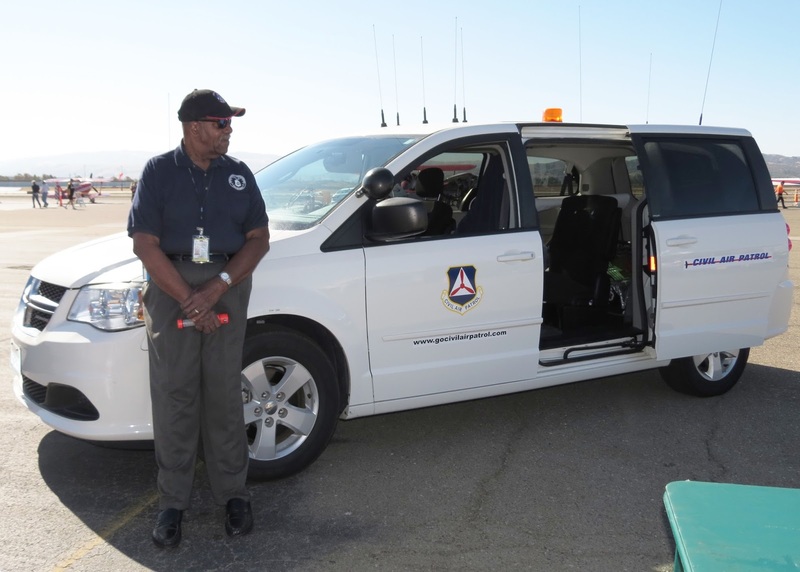 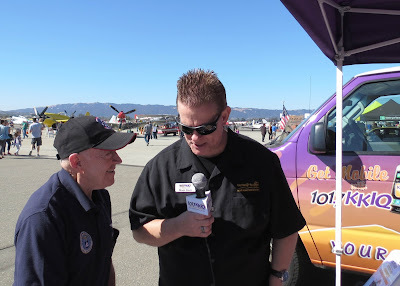 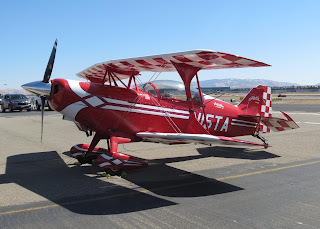 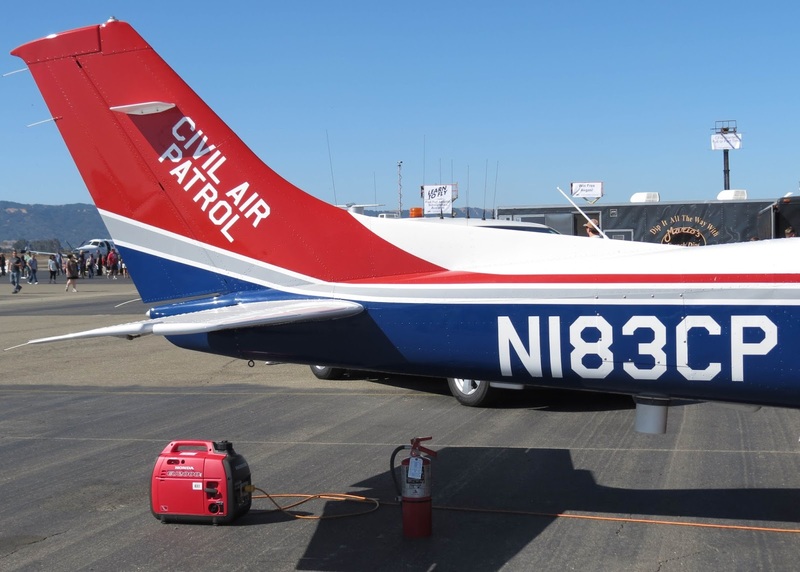 The Amelia Earhart Senior Squadron 188 and the East Bay Cadet Squadron 18 are regular participants in this fun event and they set up their recruiting booths side by side with a Cessna 182T in between, and the CAP van behind them. 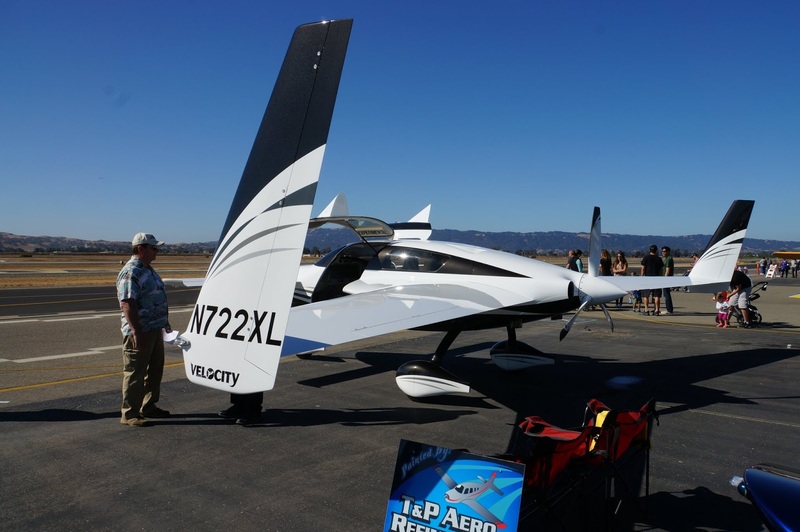 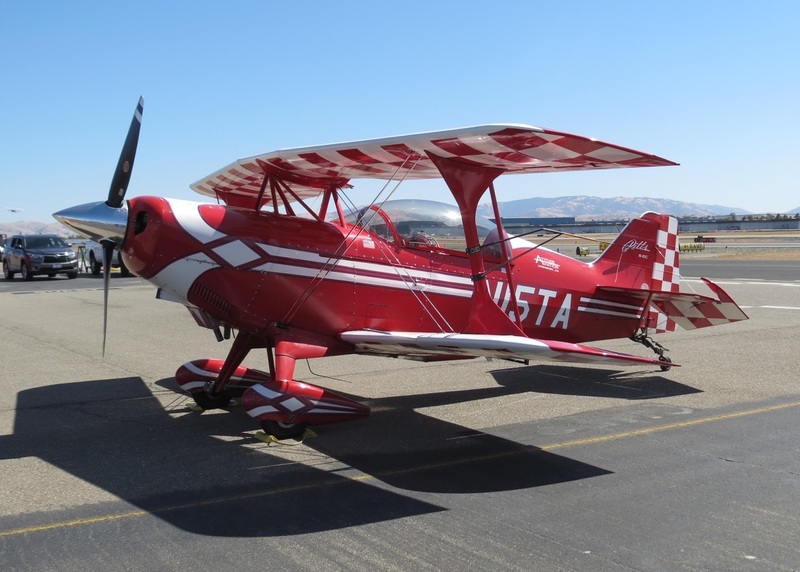 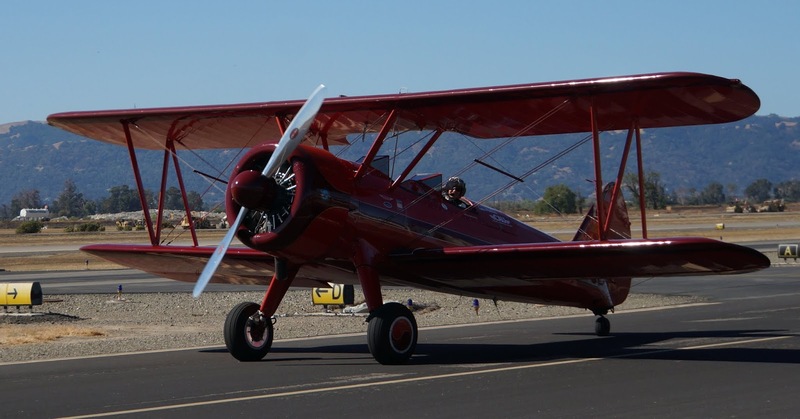 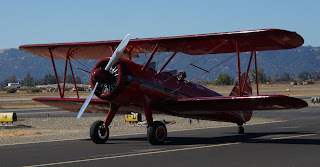 The Cessna is an air show favorite, as it attracts kids and parents alike. 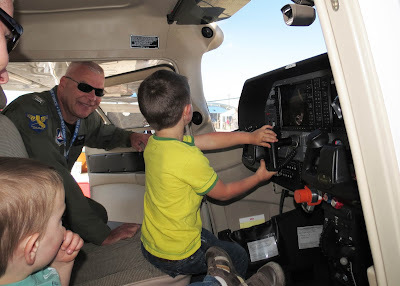 Squadron members spend their day explaining the aircrafts capabilities, demonstrating the G1000 system, and lifting kids into the cockpit. 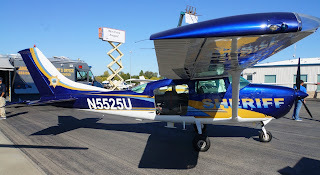 The kids get a real kick out of sitting in the pilot seat with their hands on the control yoke, and two large monitors displaying maps and systems. 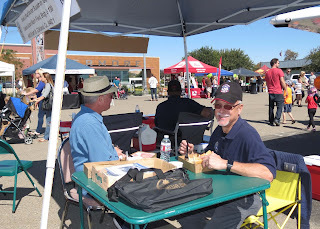 The parents enjoy watching the excitement and wide eyed smiles on the faces of their children and are busy capturing the moment on their cell phones. This usually results in follow up questions inquiring about CAP and what it takes to become a member. 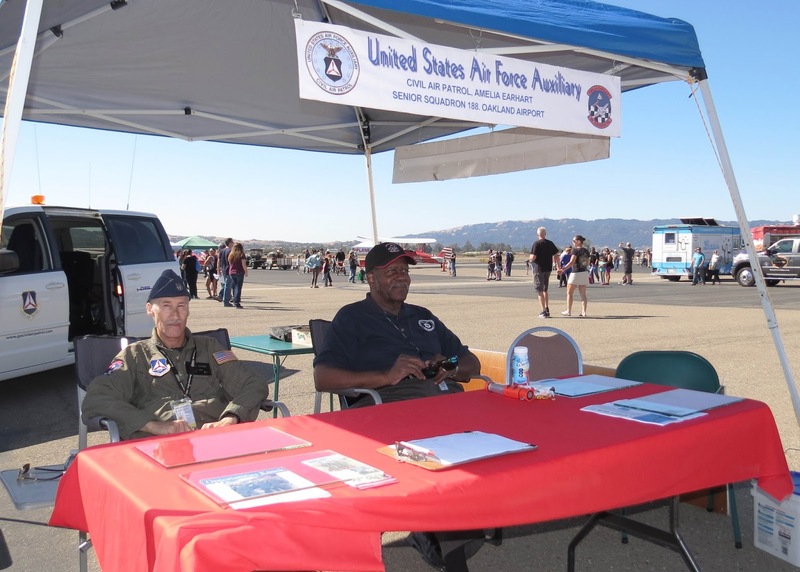 This is the time to introduce them to the recruiters. Air shows such as this are great opportunities for squadron members to introduce CAP to the public who are not familiar with who we are, what we do and share their CAP experiences. It’s also a great opportunity to spend a fun day with their squadron mates. 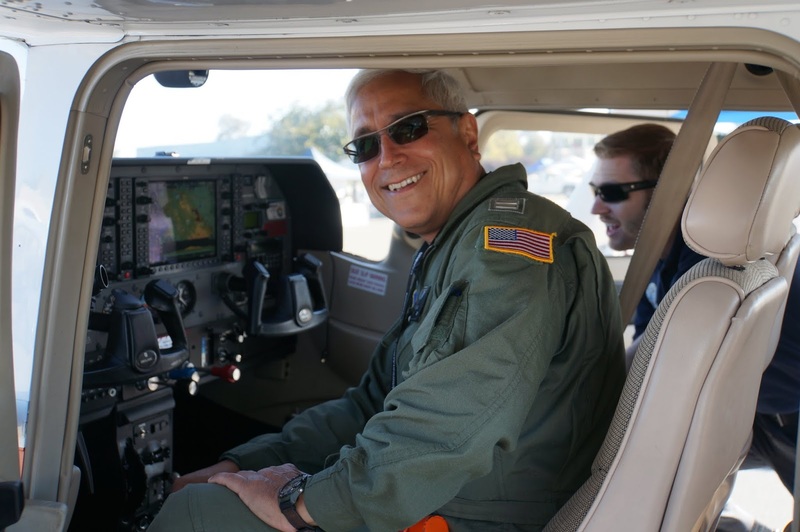 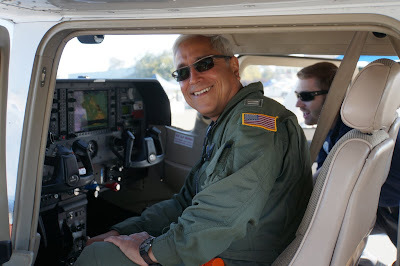 Other air show photos captured by Lt Col Tinnirello and Lt Roudnev are shown below.